The compact iR-ADV C2220L delivers dependable prints at 20 ppm in BW or colour, duplexes automatically and outputs on media up to 220 gsm, from a maximum paper capacity of 2,270 sheets. Add powerful scanning options to enable users to capture paper documents and distribute them to flexible locations in various formats ready for digital re-use. A customisable 17.8 cm touch screen with a tilt function, logical menus and built-in tutorials enable intuitive operation. You can simplify commonly performed tasks through one-touch buttons to save time and effort. With the iR-ADV C2220L you can rely on prints with sharp text, clear images and balanced colours. A choice of internal and external finishers enables you to produce professional looking, finished documents. Easily combine and edit documents before applying finishing to create stunning personalised sales proposals, reports or hand-outs using Canon’s iW Desktop document publishing software. The iR-ADV C2220L will seamlessly integrate into your existing infrastructure and will share the resources of other iR-ADV devices on your network, such as fax or storage space, so you can benefit from optimal functionality without duplication. The embedded MEAP platform integrates tightly with a range of powerful software to support your business critical document workflows. With Canon’s scalable device management tools you can configure, manage and upgrade your device individually, or as part of a larger fleet, whilst remote monitoring, reporting and diagnostics capabilities enable proactive and efficient maintenance, so you can rely on maximum uptime. Smart user authentication puts you in control of user access and rights, while providing visibility and activity tracking through reporting. You can go even further, and restrict access to specific device functionality by user to control costs. Your information is protected to the highest level through a range of standard and optional features for device, network and document security. 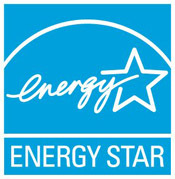 This ENERGY STAR® qualified device offers one of the lowest TEC ratings¹ in the industry, and consumes as little as 1W in sleep mode. It is also built using bio and recycled plastics where possible. 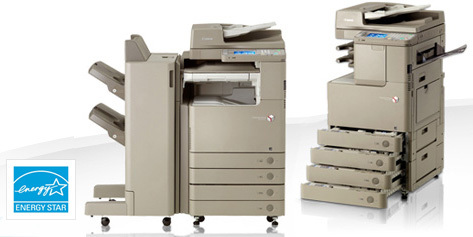 Demonstrations available on all colour photocopiers and imageRUNNER ADVANCE Series upon request.